DBPR is required by law to forward any unlicensed activity cases to the local State Attorney for prosecution. During a declared state of emergency, the penalty for unlicensed activity is elevated from a misdemeanor to a third-degree felony. Because of the heightened penalty, you may wish to check with the State Attorney’s office regarding any cases they may be pursuing. Stephen Edward Dailey – In May of 2017, the subject contracted with a consumer for the installation of a metal roof on their home, detached garage and a storage building, among other unregulated work. After delays and sub-standard work, the subject was found to be unlicensed. On 10/12/2017, he pled no contest to one count of contracting without a license, and was found guilty. He was sentenced to 12 months’ probation, in addition to being ordered to pay fines and costs. The subject contracted to perform a roof repair and garage door repair without the proper licenses. On July 24, 2017 he was found guilty of one count of Contracting without a License or Certificate and sentenced to 30 hours of community service, 1 day jail time (served), 12 months’ probation, in addition to fines and restitution. Cary Scott Grimm – The subject contracted with multiple homeowners for remodeling services that would require a State contractor’s license. In several instances, the subject took the homeowner’s money and did not perform any services. On June 6, 2017 he was adjudicated guilty on five charges of grand theft. He was sentenced to 21 months in prison and 10 years’ probation. 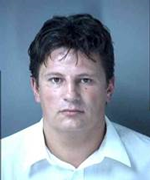 Kirk Walter Caupain – The subject contracted to perform a pool repair without having a license to do so. The repairs made were insufficient and additional work was needed after he finished the job. He had adjudication withheld on June 20, 2017 on a charge of False Representation as a Licensed Contractor and was ordered to pay restitution. Kevin Matthew Key – The subject contracted to construct a bulkhead and retaining wall for two different homeowners without have a license to perform that kind of work. In each case, the work began, but slowed in pace and the projects were ultimately abandoned. On June 6, 2017 he was adjudicated guilty of two counts of False Advertising as a Licensed Contractor. 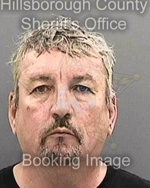 William Derrick Butler – The subject contracted with a homeowner’s association to perform repairs including roofing, electrical and structural work that he did not have a license to perform. He was charged with a single count of Unlicensed Contracting. He pled no contest and was adjudicated guilty on 06/19/2017. He was sentenced to 6 months’ probation. 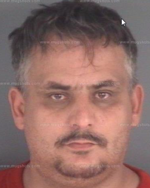 Michael Auxier -In two separate cases, the subject contracted with a homeowner for various repairs, including electrical, roofing and other work that he did not have a license to perform. He received money for the work, completing some, and then abandoning the job. 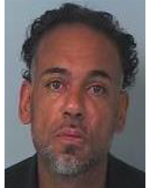 In one case he was convicted of Contracting without a License on June 28,2017, and sentenced to serve 60 days in the Orange County Jail with credit for time served. In a separate case, he pled no contest and was adjudicated guilty on charges of Grand Theft from a Person 65 years of Age or Older and Unlawful Contracting. He was sentenced to 180 days in the Orange County Jail with credit for time served, 10 years’ probation, restitution, fines and costs. 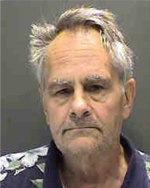 Christopher Michael Romanenko The subject contracted with multiple homeowners for air conditioning repairs and installations using a license that was not his. He pled no contest to two counts of contracting without a license, was adjudicated guilty on May 30, 2017 and sentenced to 12 months’ probation and restitution. The subject contracted to repair a pool leak and repaint a pool deck and walkway for $3,000 without being licensed. The subject was alleged to have repaired the leak, but the leak resumed in less than one week. In response, the subject then abandoned the contract. At trial on December 5, 2016 the subject had adjudication withheld and was sentenced to time served, court costs, restitution and 12 months’ probation. 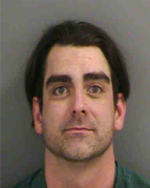 Police have arrested 45-year-old Cary Grimm on charges of grand theft in relation to multiple complaints from consumers about unlicensed contracting. Eleven individuals were arrested following a multi-agency undercover workers’ compensation and unlicensed contracting enforcement operation (Sting) in Manatee County. The individuals arrested were found to have advertised their ability to perform jobs such as plumbing and electrical work without securing proper licensing and without having workers’ compensation coverage to protect their employees in the event of an accident or injury. 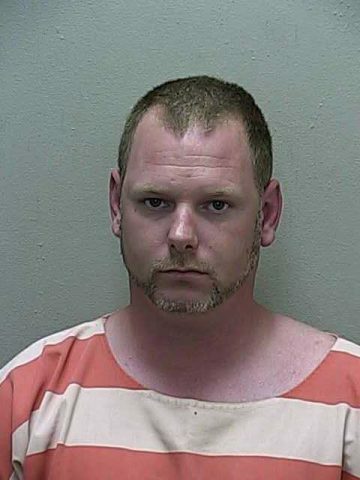 The agencies involved in the operation included: The Manatee County Sheriff’s Office, Palmetto Police Department, DFS’ Bureau of Workers’ Compensation Compliance, the Department of Business and Professional Regulation, the Manatee County State Attorney’s Office, and Manatee County Code Enforcement. 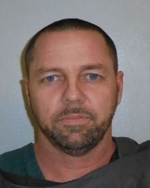 Those who were arrested included: James S. Civitello, Jr.
Mark Gay – Subject Mark Gay contracted and performed HVAC work for a homeowner in Port St. Joe. On June 1, 2016, a Judge adjudicated the defendant guilty of contracting without a license. Zlatan Krekic DBA Croat Pavers of SW FL, Inc. contracted with a homeowner to construct a pool in Cape Coral for $47,500. Subject does not hold a licensed with the department. Subject Krekic was adjudicated guilty in April 2016. 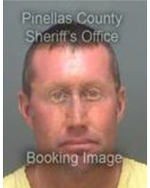 Michael Jenkins: Subject Michael Jenkins d/b/a Michael Jenkins Maintenance & Remodeling LLC, was found in violation of contracting without a license. Michael Jenkins provided invoices for HVAC work in November 2015 for the amount of $2,500. 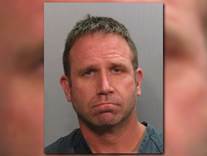 Michael Jenkins has prior cases with the department for contracting without a license. The case against Michael Jenkins was forwarded by DBPR to the State Attorney’s Office and in February 2016 Michael Jenkins was found guilty of contracting without a license. Justin Blake Mitchell – In February 2016 Subject Mitchell contracted to rehab a bathroom, run new wiring, and rebuild a deck for $16,000. Subject Mitchell was paid over $15,000 and never completed the job. The State Attorney’s Office reviewed the case and adjudication was withheld. Jeffrey Francis Ennis – Subject Ennis was hired for a complete home remodel including electrical, plumbing and HVAC. Subject Ennis was paid a total of $28,000.00. Subject Ennis continued to come back for more money, even after the homeowner expressed being unsatisfied with the quality of work. The State Attorney’s Office received the case which resulted in adjudication being withheld. William Charles Dillon – Subject Dillon entered into a contract for a walk-in cooler/freezer installation but delivered a 30-year-old unit. Subject Dillion refused to refund the homeowner. The State Attorney’s Office sentenced subject to 15 days in jail and probation following an adjudication of guilty. Joseph England – Subject Joseph England contracted for plumbing services in the amount $15,400. Subject England was paid $6,500 and did not complete the job. This case was investigated and forwarded to the State Attorney’s Office for further review subject England was found adjudicated guilty. 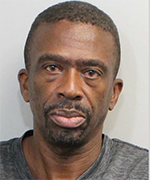 Richard Howard Owens – Subject Owens contracted with homeowner on recommendation from the community association to replace windows in condo unit. Homeowner eventually had to make modifications to the home following the window installation, which was left incomplete. Subject returned to the condo on three occasions, but the issues of water coming into the unit were never resolved. State Attorney’s Office pursued the case and adjudication was withheld in March 2016. Bradford A Morse – Subject Morse was contracted for kitchen and bathroom renovations including plumbing and electrical work. Homeowner paid out $179.357.96. Subject used another license holder to pull the permits. Job was never completed and Subject abandoned the project. Homeowner states $50,000.00 of damage was caused. The case was forwarded to the State Attorney’s Office and a warrant was issued on February 12, 2016 for contracting without a license. 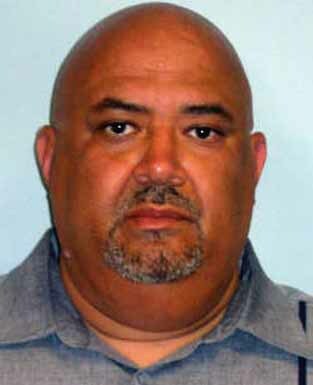 Jorge Fonseca – Subject Fonseca was hired for a residential roof replacement for the amount of $14,000. A permit was obtained by a licensed contractor. The City of Hialeah Code Compliance issued the homeowner a citation for an unsafe roof structure. This case was forwarded to the State Attorney’s Office for review and adjudication was withheld. Gus Bodie – Subject Gus Bodie d/b/a Gus Lighting & Electrical Inc. was hired to perform electrical work for a 72 year old homeowner. Subject Bodie was paid roughly $800.00. After review by the State Attorney’s Office, adjudication was withheld. Darrell Laetelle Williams – Subject Williams cold called an elderly couple about inspecting their home for energy consumption. Subject Williams contracted for an A/C unit work for a total of $9,500.00. DBPR issued a Notice to Cease and Desist. The case was forwarded to the State Attorney’s Office which resulted in a guilty verdict. Shawn Kelly Gomillion – Subject Gomillion d/b/a Just Do It Construction, LLC. provided an estimate to an undercover investigator in November 2015. The work included replacing light fixtures, adding outlets, installation of doors and replacing windows. Subject Gomillion provided an estimate for $9,000 and requested a deposit of $5,800. The Eighth Judicial Circuit received the case and Subject Gomillion pled guilty to contracting without a license. Raymond Carney – Subject Carney d/b/a Raymond Carney Handyman contracted to demolish two walls and instal 2 a temporary wall in its place as well as install plumbing and electrical as part of a kitchen remodeling. Subject Carney received roughly $2,700 for the work. This case was forwarded to the State Attorney’s Office and the Subject Carney was adjudicated guilty. Derrick Ballard – Subject contracted for a re-roof and was paid roughly $4,600.00. Subject Ballard never performed any roofing work. 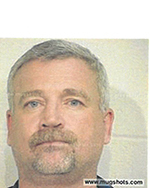 The case was forwarded to the State Attorney’s Office and subject Ballard was adjudicated guilty. Jose A Melendez – Subject Melendez contracted to build a deck addition. Subject Melendez was paid approximately $9,650.00 but never finished the job. The department issued a Notice to Cease & Desist. The case was forwarded to the State Attorney’s Office which resulted in a guilty verdict with restitution paid to the homeowner. 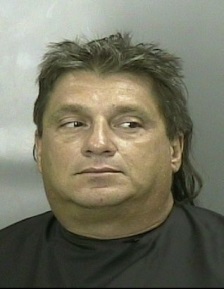 Gerald Hugh Howard – Subject Howard was paid $3,500.00 to re-roof a residence. Subject is unlicensed and has a history of unlicensed activity complaints with DBPR. After receiving payment, no work was started and no materials were purchased. Subject arranged for a third party to secure the permit. State Attorney’s Office case resulted in an adjudication of guilty with a one-month jail sentence. Michael Chiappardi DBA Mike’s Affordable Renovation & Maintenance contracted with a homeowner in Milton, FL to provide perform construction services that included roofing, electrical and plumbing for close to $5,000. 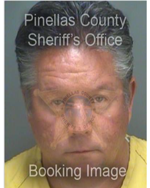 After a jury trial on May 25th, Subject Chiappardi was found guilty of contracting without a license and guilty of holding oneself out as an electrical contractor without a license. Kevin Cassidy Jr. – Subject Cassidy d/b/a Triton Air and Heat Inc. contracted to install an HVAC system for the amount of $4,200. Subject Cassidy caused significant damage to the property and abandoned the contract. The case was forwarded to the State Attorney’s Office in which Subject Cassidy was adjudicated guilty. Leon Curtis Stewart – Subject Stewart was paid $3,300.00 to re-roof a home. Subject had another company pull the permits. The roof leaked after the job was finished, so Subject came back to fix the leak, but it continued leaking. State Attorney’s Office received the case and adjudication was withheld. Alonzo Hall – Subject contracted with a Jacksonville homeowner to perform roof repairs for roughly $1,200. The State Attorney’s office charged Subject Hall with False Representation As a Licensed Contractor and adjudication was withheld. Subject Hall was sentenced to 6 months of probation and restitution was ordered in the amount of $1,300. 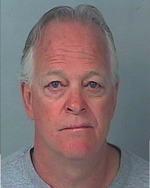 William R. Walton DBA Walton Home Repair, was adjudicated guilty of contracting without a license on 8/25/2015. William Walton has had numerous prior cases with the department. 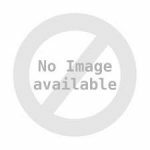 Subject Walton presented himself as a licensed contractor in order to contract for kitchen and living room remodels which included a wall modification and electrical services. The homeowner paid Subject Walton over $35,000 for the remodel. Subject completed some work but then abandoned the job. Subject Walton was not licensed as a contractor to perform the work. Thomas Wells Fargo – Subject contracted for ceiling fan installation and window replacement and was paid over $3,000 and performed shoddy work. Subject was adjudicated guilty. Rokella Fanella Jeffrey – Subject Jeffrey was paid $34,000.00 for a home renovation involving demolition, electrical and plumbing work. Subject is not licensed. DBPR issued a Cease & Desist notice. The department’s case was forwarded to the State Attorney’s Office and adjudication was withheld. Joseph Rudolph Cataldi – Subject Cataldi dba Jolu Construction contracted to repair and replace damages to a residence due to water intrusion. Subject Cataldi performed work of an electrician and acted as a general contractor without being licensed. Subject Cataldi added lighting and exhaust fans to the home. The contract amount was for over $47,000.00. Subject Cataldi was arrested on April 26, 2016 for contracting without a license. Goran Popovic – Subject Popovic contracted to re-roof a property and was paid nearly $7,000.00 to do the job. Work was never started on the project, and the money has never been returned to the homeowner. DBPR issued a Notice to Cease and Desist. 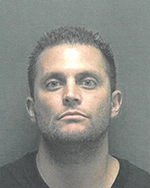 Subject Popovic was arrested on May 8, 2015 for unlicensed contracting. Robert Miano – Subject Miano dba Degeorge Ceiling & Custom Cabinetry entered into a contract to renovate a homeowner’s kitchen and bathrooms for $58,500.00. 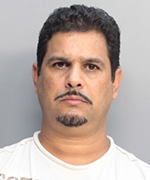 Subject Miano was arrested on September 21, 2015 for contracting for plumbing work and as a general contractor without a license. Alphonso Hopkins d/b/a Hop The Handyman contracted with a Gadsden county homeowner to perform construction services, which included electrical, AC, plumbing and structural work for $15,900 in June 2014. According the homeowner, Subject Alphonso was paid in full for the work and then abandoned the job. 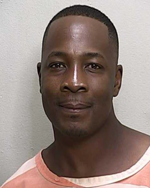 DBPR issued a Final Order and Alphonso Hopkins was adjudicated guilty for contracting without a license on April 6, 2016. Brendon Miller Huggins – Subject Huggins d/b/a Equity Field Services South was hired to remodel a home for $45,000.00 of which approximately $20,239.66 was paid. The work performed included interior remodeling which included plumbing and electrical work. Homeowner alleges that the work that was done was not up to standards and a permit was never obtained. Subject Huggins was arrested on March 3, 2016 for two counts of contracting without a license. Steven Allen Baxley – Subject Baxley entered into a contract to replace and install air conditioning units and duct work for 3 apartment units for a total of $12,000.00. Subject Baxley has a prior history of engaging in unlicensed activity with department. The case was forwarded to the State Attorney’s Office which resulted in adjudication being withheld. Charlie Horne Daniels – Subject Daniels contracted for a roof replacement and was paid a $2,100.00 deposit. Work never began and subject disconnected his phone. The State Attorney’s Office prosecution resulted in a guilty verdict with jail time and probation. Amado Horta – Subject Amado Horta contracted in December 2013 to remodel a condo in Miami Beach for the amount of $40,000. The contracted work included plumbing, electrical and A/C work. Subject was paid a deposit of $20,000. 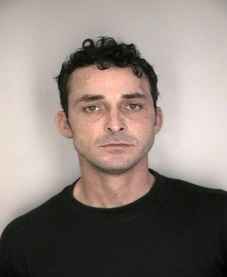 The State Attorney’s Office charged Subject Horta with contracting without a license and 2nd Degree Grand Theft. Subject Horta was also sentenced to 78 months of probation. 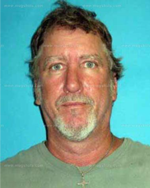 Paul Timothy Hopper – Subject Hopper contracted to provide electrical work for homeowner and was paid $10,940.00 for the job. Subject was operating on a revoked DBPR license. Subject Hopper has prior unlicensed activity cases with the department. The department’s case was forwarded to the State Attorney’s Office, which resulted in adjudication being withheld and probation of 12 months. 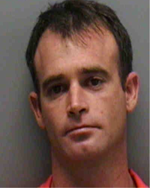 Unlicensed Contractor Thomas Ducharme d/b/a Coastal Services by Tommy, contracted in September 2013 with homeowners for a bath renovation in amount of $18,455.53. Subject Ducharme was paid a total of $12,167.00. The scope of work included plumbing, electrical, and structural work. 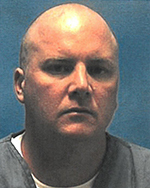 Subject Ducarme was not licensed as a contractor. Restitution was ordered through the State Attorney’s Office in the amount of $7,086. Subject Ducharme has paid $7,086 back to the homeowners. John M Crescente – Subject Crescente was hired for a complete home remodel. Subject Crescente was paid $17,388.51 at the beginning of the job. The scope of work included plumbing. The work performed was of poor quality and resulted in damage to the property. The case resulted in a guilty verdict with 3 years of probation. James Sohol – Subject Sohol contracted to install an A/C unit and performed the work without pulling permits and despite having no license. 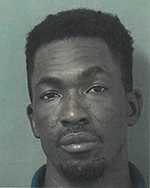 Subject Sohol was arrested in November 2013 on eleven counts of contracting without a license on a $270,000.00 bond.